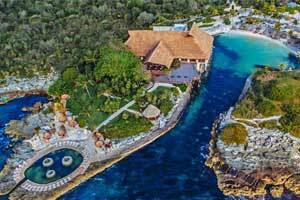 The Occidental at Xcaret Destination***** hotel is on the Riviera Maya, and combines a fully preserved natural and cultural environment with an all inclusive resort with an exclusive selection of rooms with the latest services and facilities. 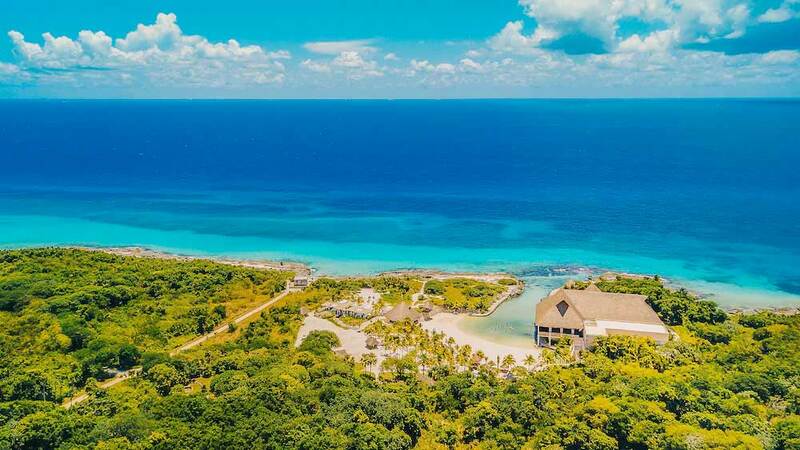 Choosing among the hundreds of possible plans is the most complicated part of a stay at this resort in Playa del Carmen. 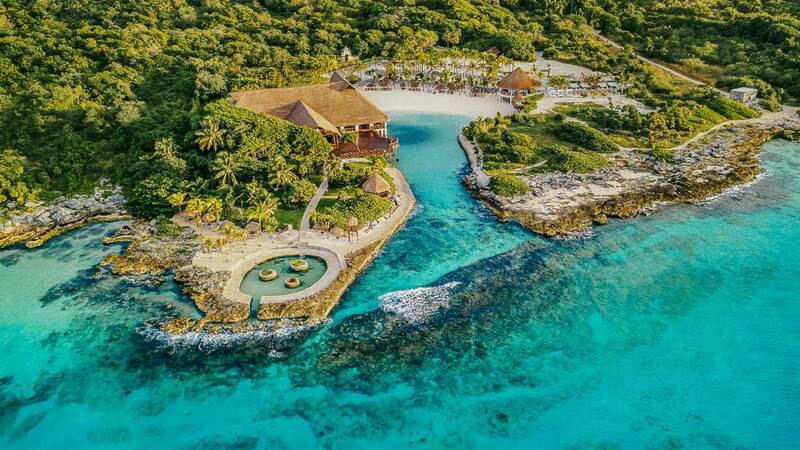 Swimming with dolphins, attending a Mayan ceremony or enjoying all types of water sports at the beach club are just a few highlights. 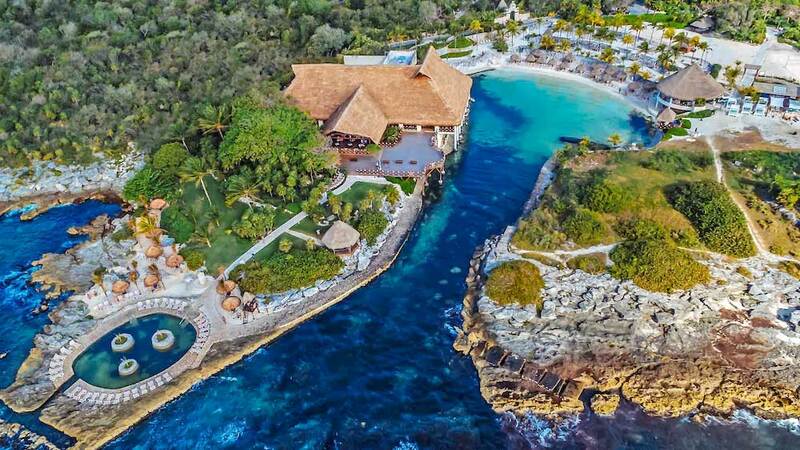 The Xcaret eco-archeological park offers one of the most complete plans, especially for families, by guaranteeing over 40 cultural attractions and expositions on art and traditions in Mexico. However, as people usually say at the hotel: "Do it all...or simply do nothing." 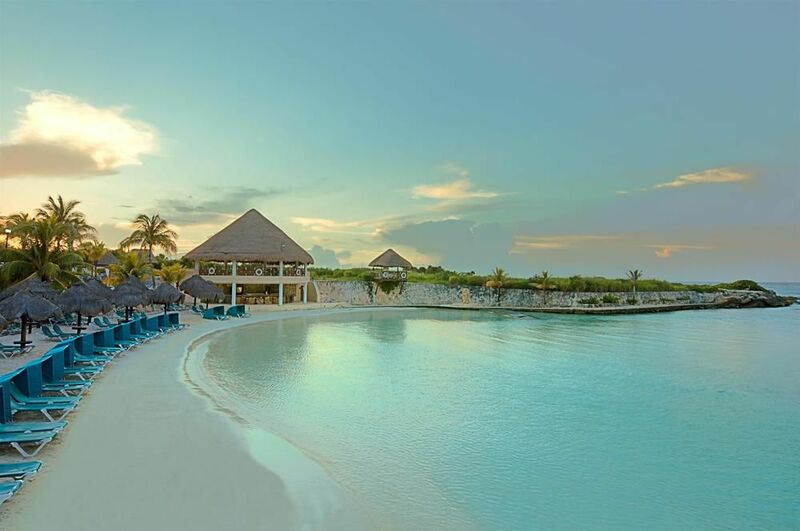 Strolling through the lush gardens at the resort, enjoying the sun while lying on a hammock and taking a refreshing swim in one of the resort's five pools, reading a book on the golden sands as you relax on the private beach... Anti-stress remedies at the resort are endless. 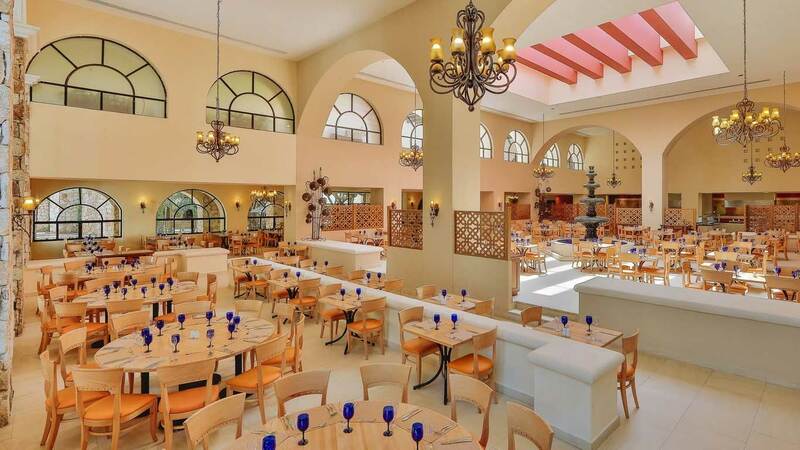 Regardless of how you plan each day at the resort, the hotel's choice of culinary selections is designed to satisfy the demands of every kind of guest. 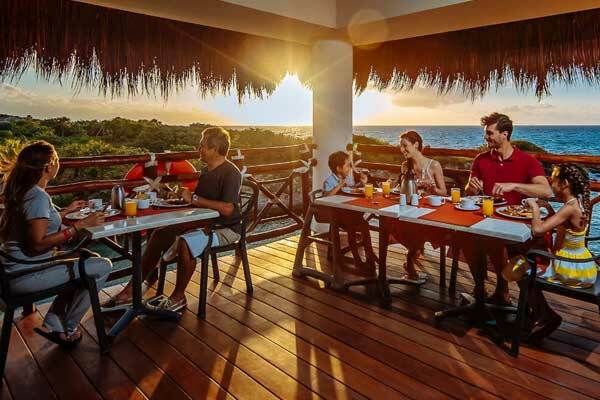 With 10 bars, including the one at the club, and 11 restaurants, guests have the freedom to choose a snack, an informal meal, a gourmet feast or a candlelight dinner, among many other possibilities. Infinite possibilities to combine fun activities with essential time to relax. 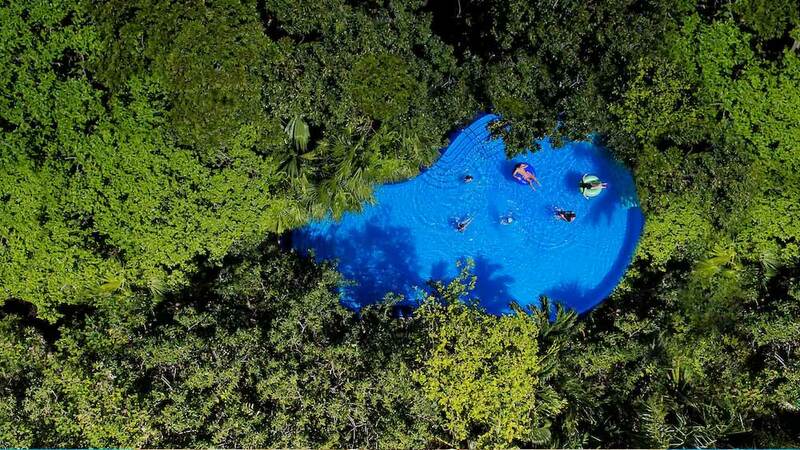 However, the key to this resort is the balance between modern facilities and the marvelous Mexican rainforest that is filled with stunning local wildlife. 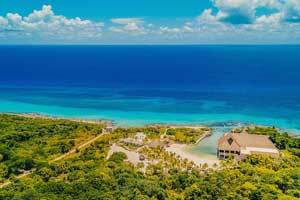 Leisure, tranquility and nature merge at the Occidental at Xcaret Destination. 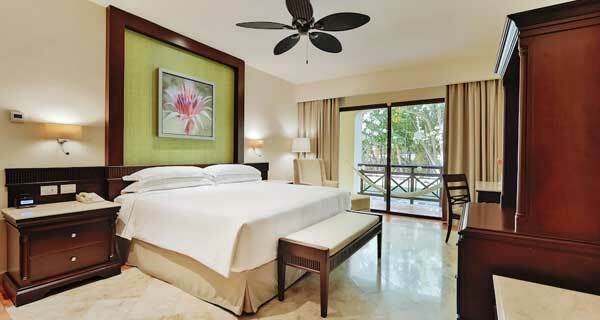 All Occidental hotel rooms have furnished balconies to enjoy tropical air and ocean or pool view. 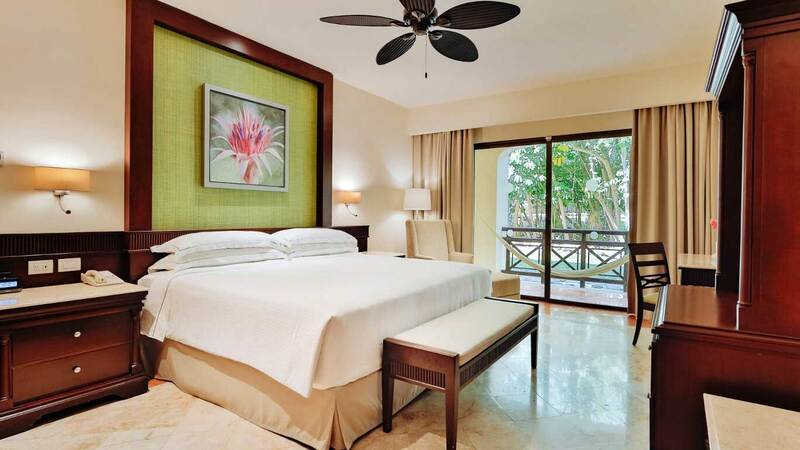 Each spacious room features contemporary dark-wood furniture and tile or marble floors, air conditioning, and ceiling fans. 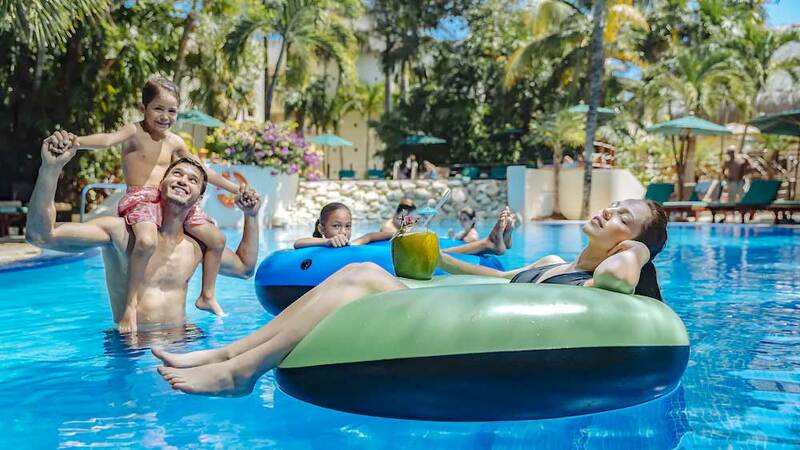 At the Occidental at Xcaret Destination Resort hotel you can enjoy our 5 swimming pools that are perfect for the whole family (3 fresh water pools, 1 salt water pool with a drinks service, and another for children). Our large number of activities and entertainment shows will also allow you to have fun during your whole stay. And fop the younger ones, we offer many activities at the Kids Club. Diving center offering a wide range of excursions to practice diving and obtain a certificate (charges apply). 9 bars with unlimited international brand drinks. 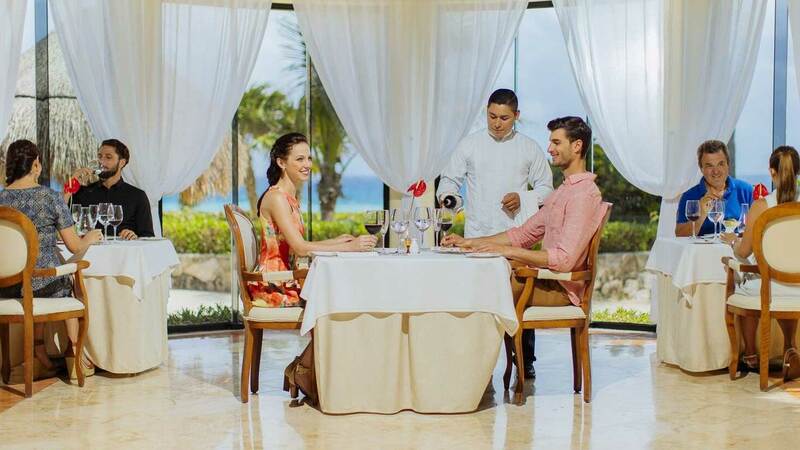 5 specialty à la carte restaurants with the best international dishes, 2 buffet restaurants, 2 night-time snack bars and 1 restaurant for the exclusive use of Royal Level guests. Program of daytime and evening entertainment with shows and activities. Nightclub for dancing in the evening. 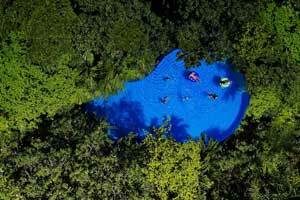 Use of sun loungers and pool towels. Palenque Nightclub: Our nightclub is the perfect place to let your hair down, as it is the best nightclub for people over 18 years. Dress code: shorts, sandals and sleeveless shirts are not allowed.